God Promises a 30-60-90 fold Return! Blessings and Praise God! We thank you for your financial support to this ministry. Every seed that you sow is sown on good ground. We believe in the power of partnership to fulfill God’s purpose on the earth. Your giving is very scriptural. The Kingdom of God has the greatest investment opportunities known to man. You invest and are guaranteed a 30-60-100 fold return. You are guaranteed the return in this life and in the life to come. 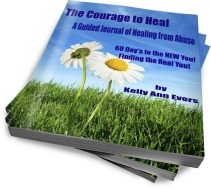 And any gift over $300.00 I am offering both books and 2 hours of one-on-one (phone or Skype) counseling. By no means is partnership just an avenue by which to raise finances. Instead, it is a mutual exchange of faithfulness. His Love Heals faithfully and actively prays daily on behalf of Partners. We declare the blessing—the empowerment to prosper and excel—on their Partners. Partners of this ministry have a right to connect to the anointing that is on this ministry so that they, too, can prosper spiritually, socially, mentally, physically, emotionally and financially. Did you know we pray over your seed and expect an abundant harvest? Know that your seed is being sown into good ground and will be used to teach the Word with simplicity, heal victims of abuse, help women and children escape from violence, and do the Great Commission. God bless you for being obedient! Did you know that EVERY soul saved, healed, set free, and delivered is credited to YOUR Heavenly account? Jesus promised us in Luke 6:38, "Give and it shall be given unto you; good measure, pressed down, and shaken together, and running over, shall men give unto your bosom. For with the same measure that ye mete withal it shall be measured to you again." Partnership is several people joining together to accomplish a task or meet a need that’s greater than what they could do on their own. At His Love Heals, we are extraordinarily aggressive when it comes to meeting needs. We love with God’s love, we touch with God’s touch, we pray with God’s power. When we meet people’s physical needs, emotional needs and spiritual needs of those hurting – and lives change, domestic violence ends in one more home, and families live free from abuse. But we can’t do this alone. That’s why we’re asking you to partner with us.